4k00:23Young JAPANESE MAN listening to music and looking at the river. At the riverside of Tama river in Tokyo. 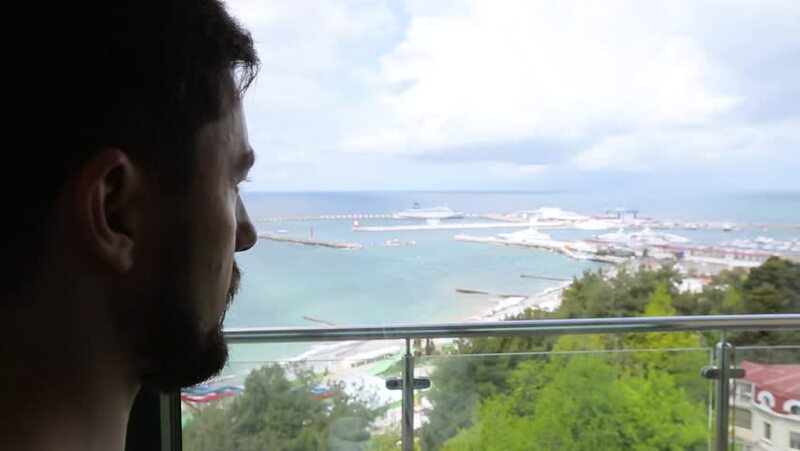 hd00:08Profile Of Young Hipster Man Looking Out Over River In European City. 4k00:22Back view of excited tourist woman with backpack and camera taking a photo of epic Niagara Falls view slow motion. 4k00:16Beautiful slow motion back view of happy young female traveler taking photos of epic Niagara waterfall with smartphone.